I would never do this to my bimmer, but I have used Homer Formby's lemon seed oil to wax my old car. It looks really good, and smells lemony fresh. Uhhh...if the universe is still expanding, WTF is it expanding into? anyone have a tip for someone whos clear coat has started to chip on the front fender. GM FRIENDS! DETAILING TIP FOR A WINDY DAY "TO PREVENT FROM SCRATCHING YOUR PAINT WHILE TRYING TO REMOVE THE DUST FROM THE WIND, ALWAYS USE A QUICK DETAIL FOR A BETTER RESULT. Detailing tip of the week: after doing a headlight restoration you always want to use a D.O.T. approved sealant for the headlights to protect its clear coating and avoid from hazing or yellowing. 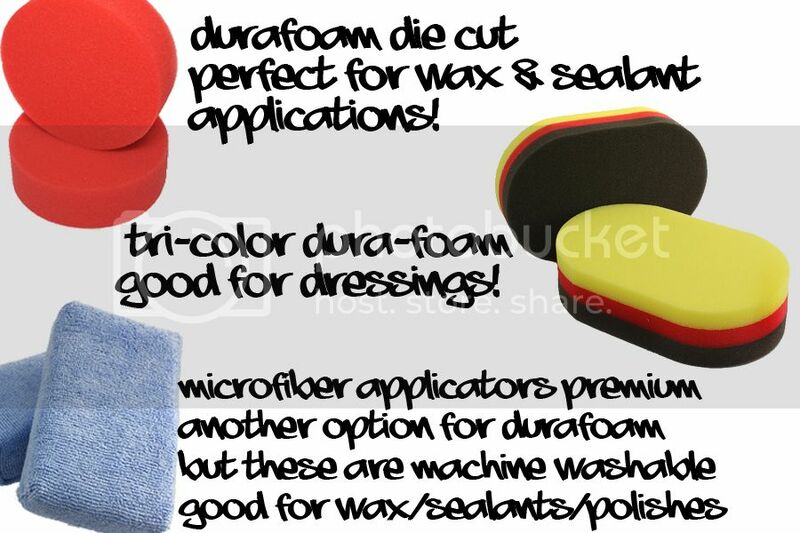 DETAILING TIP OF THE WEEK! DETAILING TIP OF THE WEEK "do you have faded black trims through out your car? using a foam applicator pad and 3 single drops of ______GEL you can solve that problem, by gently wiping it across the faded sections. First thing in the morning, especially after the car has been soaking in dew all night, rinse it off with the hose. Walk around the car with the spray wax/ detailer/ whatever and give it a quick light coat. Then wipe it off, in front to back motions (NO swirls!). It takes maybe five minutes, once a week, and it always looks fresh.